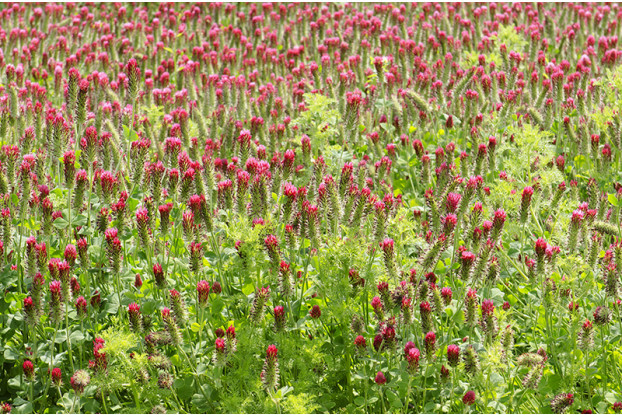 Crimson clover is an introduced annual legume used for pasture improvement, hay, honey production and winter cover crop. It can grow 1-3 feet tall and produces bright crimson colored flowers which are especially beneficial for honey bees. Crimson clover is tolerant of a wide range of soil conditions, but performs poorly in temperature extremes. Its shade tolerance and nitrogen fixing properties make it ideal for ground cover in orchards and vineyards.